Disney has converted its old paper FASTPASS system at Walt Disney World Resort to an electronic version with the introduction of Disney’s FastPass+. Rather than rushing around the parks trying to gather paper FASTPASS tickets, guests staying at Walt Disney World Resort can book guaranteed ride times for favorite shows and attractions before setting foot in the park. Fastpass+ is still included with your Disney World park ticket. 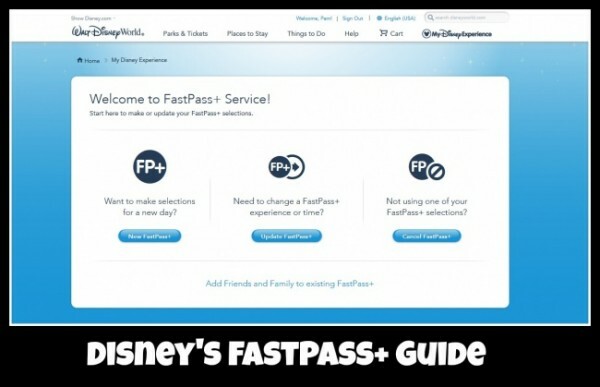 Learn more about Disney’s FastPass+ below, as well as keep track of any updates on our MyMagic+ page. Fastpass+ reservations can be made using the MyDisneyExperience App or on the MyDisneyExperience webpage. Once you have set up a personal account it is pretty simple to make a FastPass+ reservation. First purchase park tickets and link them to your account. Then when the time window opens up to book your Fastpasses, simply choose the date you will be visiting and the park you will be attending (you may only book initial reservations for 1 park per day). Then choose three attractions to visit that day, and book your reservations. Guests staying at a Disney Resort can book Fastpasses up to 60 days in advance. At that point they are able to make reservations for the length of their stay. Guests not staying at a Disney Resort can book Fastpasses up to 30 days in advance. The “length of stay” advantage explained above is not available, so to use the full 30 day window you must make reservations one day at a time. Guests staying at select Club Level accommodations can also choose to purchase an additional three FastPass+ 90 days in advance. Learn more here. Which Attractions Should You Make Fastpass+ Reservations For? Not all Disney Theme Park attractions offer FastPass+, however most of the popular attractions do. In addition, there are a few quirks with the FastPass+ system depending on which park you’ll be visiting. Once your reservations are booked through MyDisneyExperience, you are ready to go to the parks. 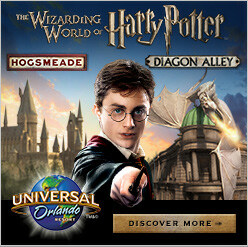 Any time during your 1 hour reservation window, go the the attraction you selected online. Find the FastPass queue line, and scan your MagicBand or park ticket. Enjoy the attraction with a much shorter wait! Guests may enter the FastPass line up to 5 minutes before their reservation, and up to 15 minutes after the reservation time has ended. Cast members are stationed at each Fastpass queue entrance to help if something goes awry in the Fastpass process. MagicBands are used when guests go to the attraction to redeem their FastPass+ reservation. MagicBands are included for guests staying at a Walt Disney World resort, and can be shipped to you before your trip. For guests not staying at a Walt Disney World Resort, MagicBands are available for purchase or your park admission ticket can be used in place of a MagicBand. For more information about MagicBands click here. What if the Attraction is Closed? 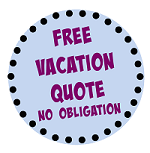 Unfortunately, attractions sometimes cease operations during the day for maintenance, safety, or even the weather. If you have a FastPass reservation for an attraction and the attraction closes during the time window you can experience the attraction, then you will generally receive a bonus FastPass for a variety of other attractions. Normally, this bonus FastPass does not have a time window and can be used anytime during the day. After you have used your initial three FastPasses for the day, you can then book additional FastPasses on an “as you go” basis. (Otherwise known as the rolling fourth FastPass.) After the first three FastPasses have been used, Guests become eligible to book another FastPass reservation and can do so by using the MyDisneyExperience app or the in park kiosks. After using your fourth FastPass, you can then book another and so on. This system is reminiscent of the old FASTPASS system and works particularly well at Magic Kingdom. Annual Passholders can use FastPass+ the same way that a regular Guest would use the system. If you have an on-property resort reservation, you may book FastPass up to 60 days in advance. If you do not have a resort reservation your FastPass+ reservation window shortens to just 30 days in advance. It is also important to know that Annual Passholders without a Disney resort reservation can only book 7 days worth of FastPasses in any 30 day window. MyMagic+ kiosks allow guests to access the entire ‘My Disney Experience’ web site, and are available in the lobbies of many resorts. Kiosks can also be located in a few different places at the Disney parks. Guest Relations at all Disney theme parks and Disney Springs. Availability of a FastPass+ experience, the number of experiences you may select and arrival windows are limited and may vary based on factors such as the theme park you are visiting, the attraction or entertainment experience, the time of year and the day of the week, and prior demand. In addition, the number of days for which you can hold FastPass+ selections at any given time is limited. If you are traveling with a group, you may make FastPass+ selections for yourself, your Managed Friends, and your Connected Friends. Your Connected Friends may also make FastPass+ selections for you or modify the selections you’ve made without notification to you. You can see the selections and modifications made by Connected Friends for you when you log into your account and view your itinerary. FastPass+ selections made for you by a Friend will count toward the number of FastPass+ selections you may make and hold. Each confirmed FastPass+ attraction, entertainment or restaurant selection is valid for (1) guest admission to the entrance of the designated FastPass+ location on the date and during the arrival window confirmed by the Site/App. Each FastPass+ selection will designate an arrival window for an attraction, restaurant location or entertainment experience. The FastPass+ selection is not valid before or after the designated arrival window or at any other FastPass+ location. When you initially make FastPass+ selections for a particular park, you will select a FastPass+ experience set and if your plans change, you may modify the entire FastPass+ experience set until the first FastPass+ experience is redeemed or the first unredeemed experience expires. You may modify an unredeemed individual FastPass+ experience any time prior to the end the day. All Disney’s FastPass+ selections, whether arranged by you or a Connected Friend, expire at the end of the day for which they were confirmed. Unused and expired selections count toward the FastPass+ experience limit for the day. Ticket holders holding passes or tickets with block-out dates may not make FastPass+ selections for any block-out date without the purchase of separate valid park admission and assigning that admission entitlement to your account. Disney reserves the right to re-assign or re-schedule a FastPass+ selection due to an unplanned attraction or entertainment down time or change in operating hours. Other restrictions and rules may apply based on type of park admission. Disney’s FastPass+ experiences are not transferable, have no cash value and may not be substituted. Currently, all guests are able to access Disney’s FastPass+ either online or at special kiosks located within the parks. The FastPass+ system also works in conjunction with the My Disney Experience mobile application.